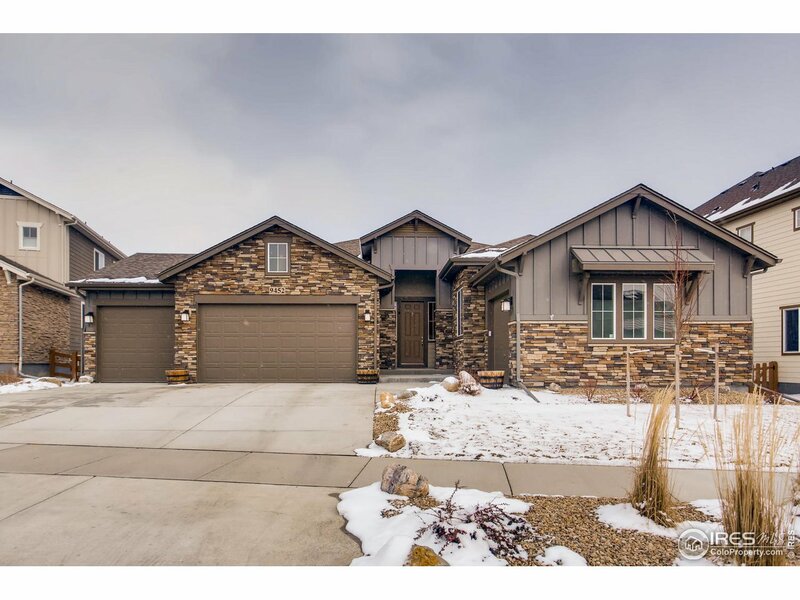 All Candelas Flg 3 homes currently listed for sale in Arvada as of 04/24/2019 are shown below. You can change the search criteria at any time by pressing the 'Change Search' button below. "Beautiful Ranch style house w/ open floor plan 3 Beds 3.5 Baths 6112 sq ft (3056 sq ft finished+3056 sq ft unfinished bsmt) 3 car attached garage on the conner lot backing to walking trails. Great room w/ mountain view & formal dinning room w/ build in speaker, gourmet kitchen w/ eat-at island, pantry, nook & pocket office. Master Bedroom w/ 5 pieces master bath w/ spa shower & walk in closet. Cover Patio w/ build in speaker. Each bedroom has own bath. Walk to Clubhouse w/ outdoor pool & park"
"Indulge in luxurious living in this stunning 4-Car, modern farmhouse ranch with many high end designer finishes-over $100k in upgrades! The great room opens to chef's kitchen with an island, SS appliances, gas cooktop, double oven, white cabinets, under mount lighting, quartz countertops & pantry. Master has sliding barn door & 5 piece spa bathroom. Several feature walls - wainscoting & shiplap, 8' interior doors, built-in mudroom bench & expansive 10' ceilings. Full, garden level basement."